During a debug session it's possible to find referrers to a given instance and see them in a view (and then in that view it's possible to iteratively go deeper by seeing referrers of referrers). This is especially useful when trying to debug leaks to a variable in a program. 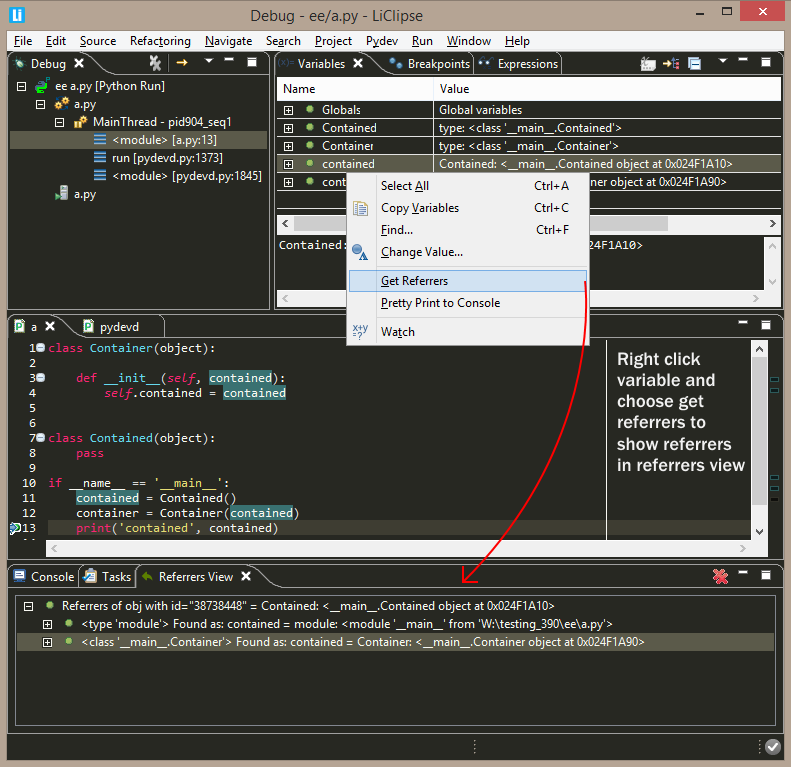 Afterwards, it's possible to right-click a variable in the referrers view and get the referrers of that instance. Note that the process of getting referrers can sometimes be slow depending on the number of live instances in your program and how many referrers are found.